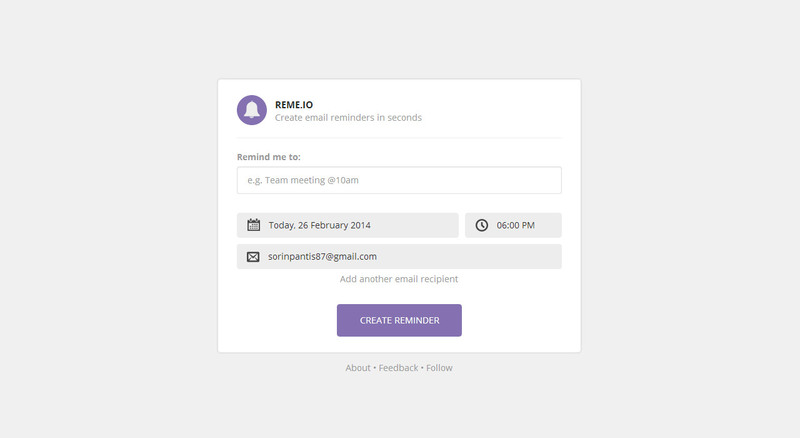 ‘RemeIO’ is a free tool in a One Pager that allows you to create email reminders in seconds. I’m a huge fan of new services that don’t require signups and I think they’ve executed this service well. Layout is simple, UI clean and the About/Info is hidden away and only reveled if needed. Great job! All feedback is much appreciated! Main technologies and frameworks used are Bootstrap, AngularJS and PHP for the back-end.